More than three hundred artworks by Wisconsin students in grades 7–12 are featured in this annual exhibition that celebrates young talent in our state. The juried exhibition is drawn from over three thousand submissions in the categories of Architecture & Industrial Design, Ceramics & Glass, Comic Art, Design, Digital Art, Drawing & Illustration, Editorial Cartoon, Fashion, Film & Animation, Jewelry, Mixed Media, Painting, Photography, Printmaking, Sculpture, Video Games, and Art Portfolios. The Milwaukee Art Museum has hosted the Scholastic Art Awards for the Wisconsin region since 1976. The Scholastic Art Awards program acknowledges excellence in the visual arts and encourages the artistic endeavors of young people throughout the United States. The Silver Key Award denotes statewide recognition. Artworks with a Gold Key later compete for Silver and Gold Medals at the national level, in New York. Many award winners go on to achieve distinction in the fine arts, applied arts, and design, often crediting their success to the early recognition they received as participants in the Scholastic Art Awards. A number of artists represented in the Museum’s Collection were Scholastic Award recipients, including Nancy Burkert, Robert Indiana, David Lenz, and Andy Warhol. Presented by: The Heller Foundation and Mary Ellen Heller in memory of Avis Heller, the Milwaukee Arts Board, Peter and Debra Johnson, Vanguard Computers Inc., CompURent, and an anonymous donor. 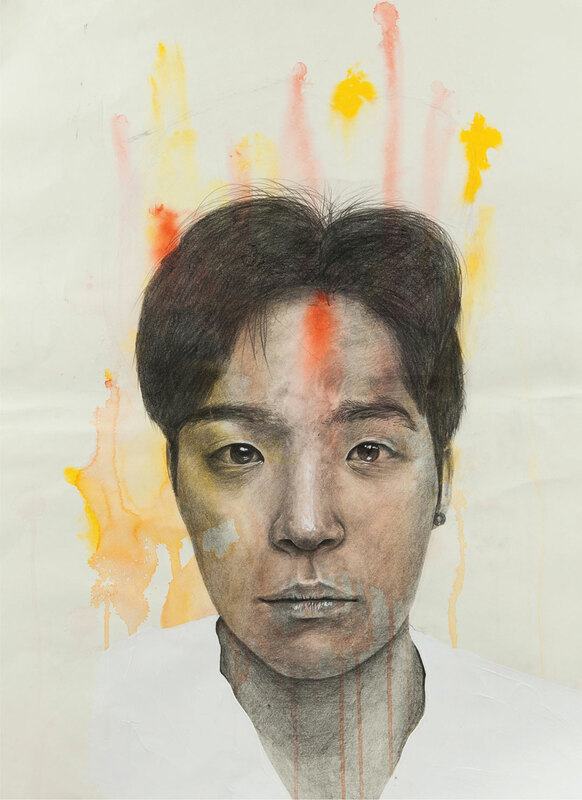 Jae Suk Lee, Fading Innocence, 2018 Gold Key in Drawing and Illustration. Grade 12, St. Lawrence Seminary High School, Mount Calvary, Br. John Willger instructor.